Signed up for EZVideo service. Contact us today to setup service. Created your account with an email and password. Click here for help setting up your account. Set up your device with the appropriate account (iTunes, Google, Amazon, etc.) You can find specific tutorials for Apple, Amazon, Android, and more under the "Devices & Platforms" menu. Once you've completed the device setup, you'll need to download, install and sign into the app. 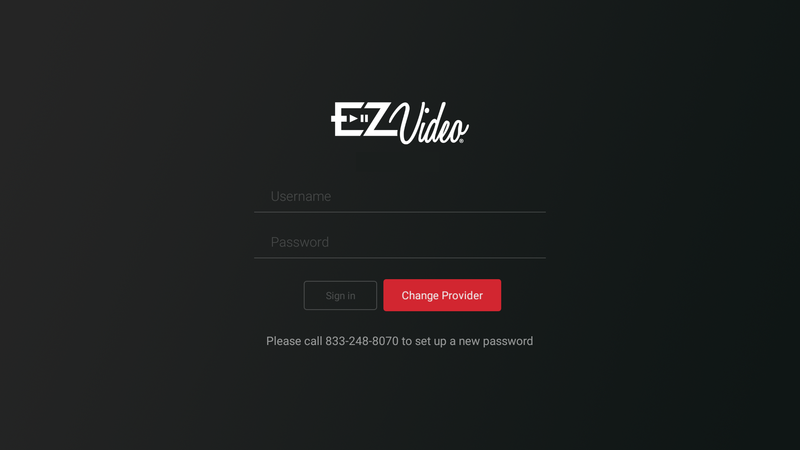 After you have your login email and password for your account you'll need to search for and install the EZVideo app. But the best way to install the app is to search for "EZVideo" within the app store on the device itself. 1. 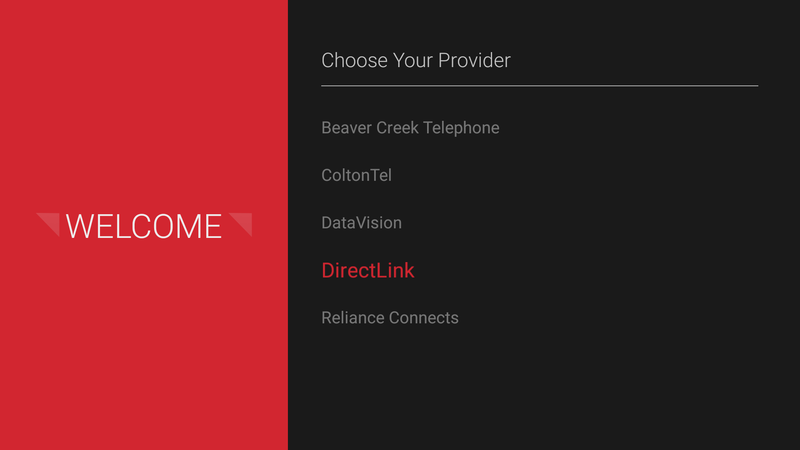 When you first launch the app you will need to select your provider, in this case you will choose DirectLink. 2. Sign in with your username and password provided when you initially set up your account. If you have any trouble signing in or remembering your credentials, you can reset it at www.ezv.tv. 3. Create your first profile by entering your name (any name will work) and chosing an avatar. You can set up additional profiles for different users within your house hold. After that you should be in the app watching live TV. Click here for an overview of the Main Menu. Click here for tutorials on navigating live TV and the Guide. Click here for information about and how to access ReplayTV. Click here for information about using your DVR.